Are You Responding or Reacting!!! Whenever I took investment from you as an investor, my standard message is this, investment should stay at least for the next 3 years and after you invested, the value can come down up to 10%, at the same time if you stay invested there is high probability that you will make 50% in absolute return, which is nothing buy 15% CAGR! All of you agreed and fortunately, my selection of funds delivered more than 15%. Many investors have the habit of looking at their portfolio on a daily basis, some investor more than couple of times in a single day as well. You as an investor often forget one important thing what I have told, and in your mind, what you have seen the higher amount and you started comparing that amount with the current value and how come it can suddenly drop up to 7%. Never understand and appreciate still your portfolio returns are much higher than 15% which I keep telling. Market is like GOD, none of us can predict exactly, especially in a short period of time. But, when we stay invested, the chances of making money are huge which we have witnessed for the last 25 years. Most of my fund selections belong to the category of mid & small cap fund not the large cap fund. 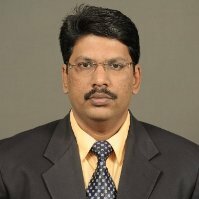 If you read any newspaper or listen to media they often tell you that large cap valuations are very attractive at the same time mid & small cap valuations are expensive and there is going to be a big correction will happen in that category and it is better to switch your funds to large cap oriented funds. Let us get into some more detail so that we can understand better rather than blindly following any one including myself. My understanding is very simple. When it comes to market risk, I feel both are equal but the kind of out performance is huge when it comes to mid & small cap fund. That is the reason I keep sending mail so that you should feel happy about your decision. More importantly, many of you have invested with the long term goal and you are not keen on which is attractive at this juncture. If that is your style, probably you will settle with direct equity not coming to me. Couple of years before, FII (Foreign Institutional Investors) who decides the market direction and the last 2 years it has changed. Many did not notice it, those who noticed also not taking time out to understand. Today mutual fund SIP book size itself is 6200 Crore, which means you and I have already informed our banker to deduct month on month one fixed amount irrespective of the market level. There is an ULIP investment from insurance sector and apartment from that many investors investing on a regular basis. In the last 15 years of calendar as well as financial year returns 12 out of 15 years SENSEX is positive. Only 3 years negative. If you get into further details you will find in 2008 alone mid & small cap suffered more. In 2011 the fall is not to that extent and 2015 in fact if is out performed Sensex. As far as my understanding (reading) goes, FII are the big investor when it comes to large cap stocks and their behaviors are irrational. In fact, going forward large cap is more volatile compared to mid & small where you and I are investing for a long term goals. Some of you called last month, Sensex is moving up and why my investment is falling or not moving as Sensex moved. Last year When Sensex delivered around 30% whereas mid & small cap delivered more than 50%, that time nobody asked this question. If you look at this month see how Sensex moved versus mid & small, you will see your portfolio recovered much faster than the market. Just for the sake of understanding I gave FII Versus DII investment. This could be one of the main reasons for this fluctuation rather than LTCG or global sell off.